Like many children, my daughter’s first introduction to cartoon characters has been through marketing. She first met Dora, for example, on a band aid. A year ago, during a one-month stay in San Cristobal, Chiapas, Mexico, we took daily walks to the Zócalo (main square) where vendors sold Dora balloons and other cartoon characters, every day. My daughter desperately wanted a Dora balloon and after seeing the balloon vendors a few times, we purchased a Dora, who quickly became a regular playmate. Since we were in Mexico, I mentioned that Dora was also Mexican. “I’m Mexican, too!” she responded, wanting to be like Dora. My daughter does have a claim to Mexican identity—my husband was born in Mexico to Argentine parents. Though he only lived in Mexico until he was three years old, he maintained sole Mexican citizenship until 18 years of age when an Argentine law required him to choose Argentine or Mexican citizenship. My husband “became” Argentine at eighteen years of age. Years later, that law changed, and my husband re-claimed his Mexican citizenship. We have traveled to his birth place, and both he and his family maintain “cariño” (affection) for Mexico. And because my husband was born in Mexico, Argentine law will not allow my daughter or son Argentine citizenship, whereas they have the right to Mexican citizenship. But my children’s grandparents are Argentine and my husband identifies as Argentine (not Mexican). 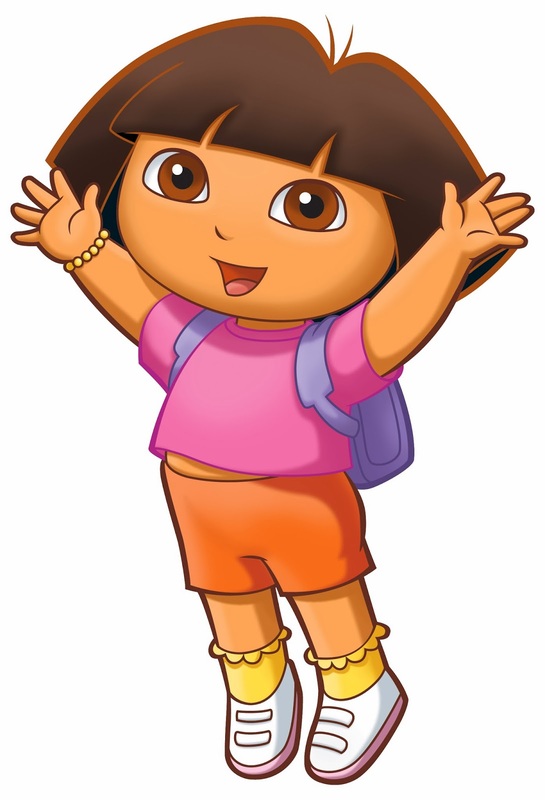 On this day, Dora the Explorer prompted us to think about Dora’s identity…and our own. Until I was in my early thirties and began to research my family history, the only information I had about my mom’s side of my family is that they were from the large land mass called Russia. This lack of knowledge, of course, was related to the history of Jewish people “becoming White” in “America.” Through my research, I was able to put a pin on the map (we are from Minsk, Belarus) and even traveled to Belarus with my mom, who questions why she never asked her parents or grandparents about where they were from. This reminds me of a guest blog post in which the author’s child assumed that the other language his family spoke (aside from English) was Spanish (it was Vietnamese) because the “other language” had not been explicitly named. Lesson learned? Children need to be told stories about who they are to build an understanding of their racial and cultural identities. For my daughter, being Argentine/Latina at this point, means (among other things) painting her face blue and white for Argentine fútbol games and chanting “Argentina!” and “Messi!”, and, of course, speaking Spanish as a family. Being Jewish means singing Baruch atah adonai on Chanukah, Dayenu for Passover, and telling her the Passover story which connects the historical experience of Jews to the enslavement of Africans in the United States. While these traditions come naturally, there are other parts of my/my children’s identity which I am still building my own awareness and understanding.